Life is so delicious. Last night, August 27th, I joined 23 other bloggers from around the world in hosting dinner parties with varying, festive themes as a part of FoodBuzz’s 24×24 dinner party. I had crafted a dreamy, end-of-summer supper party proposal for this monthly internet party, thinking we’d be poolside at my childhood home in Connecticut. I had envisioned bubbly, fruity cocktails, sunblock, French music and pulling herbs and vegetables fresh from the garden for cooking. We would feast as the sun went down in bathing suits and sweaters, candles and lightening bugs lulling us into full contentment. 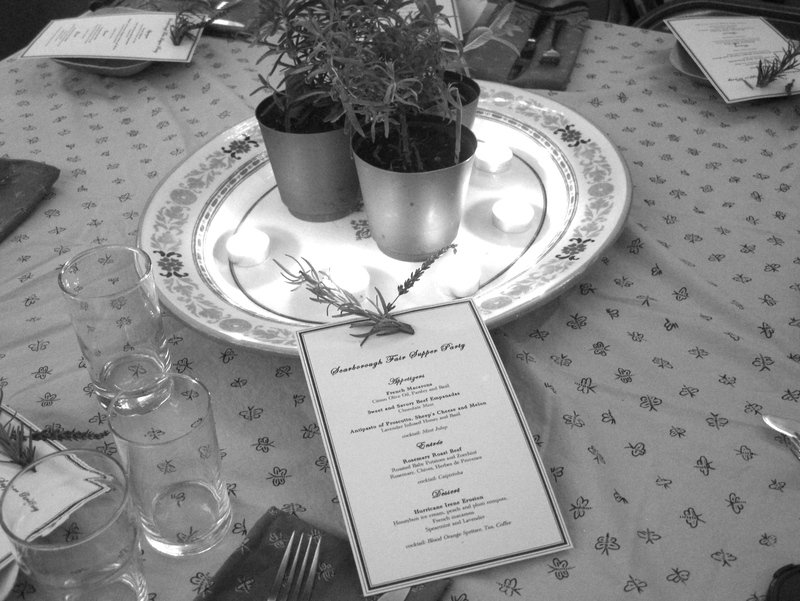 Each course on the menu would highlight the unique fragrance and taste of an herb that was found primarily from my father’s garden and my window boxes – rosemary, parsley, basil, chives, spearmint, chocolate mint, sage and lavender. 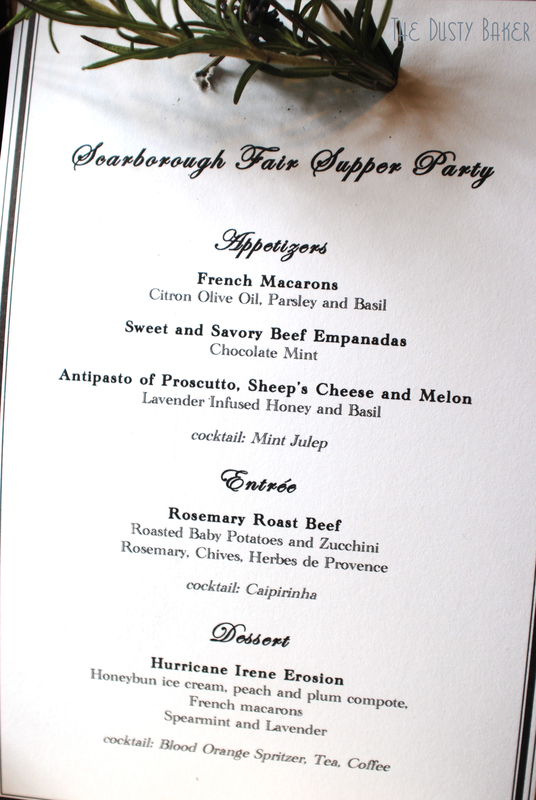 My guest list was assembling, I was menu-planning in my head and on paper, and things were shaping up perfectly in my little fantasy. But reality trumped fantasy this weekend: a hurricane walloped my perfect party plans. 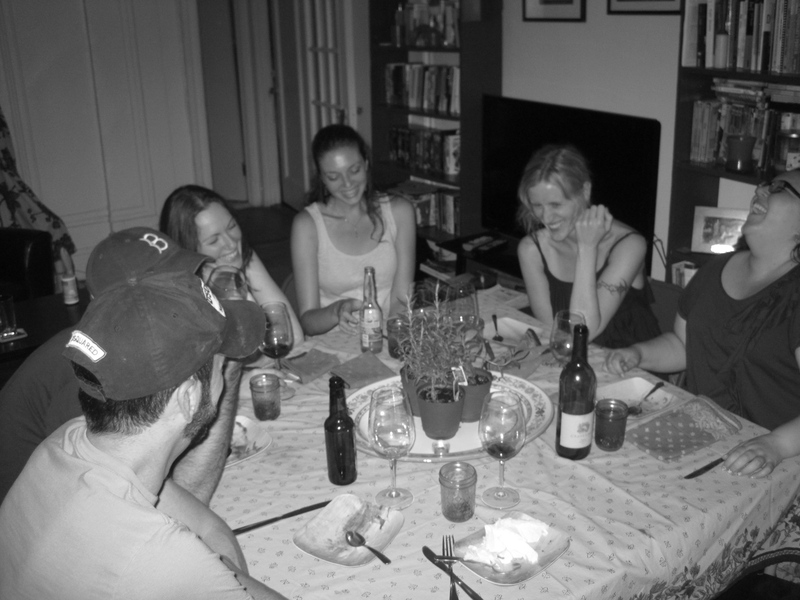 The poolside fete turned morphed into an apartment party – getting to Connecticut was deemed almost impossible with Hurricane Irene running up the eastern seaboard. Then our mayor shut down our entire transit system beginning at noon on Saturday – there went half of the guest list, who were coming from Brooklyn, Queens and various nooks in Manhattan up to my apartment near the Hudson far up on the west side. 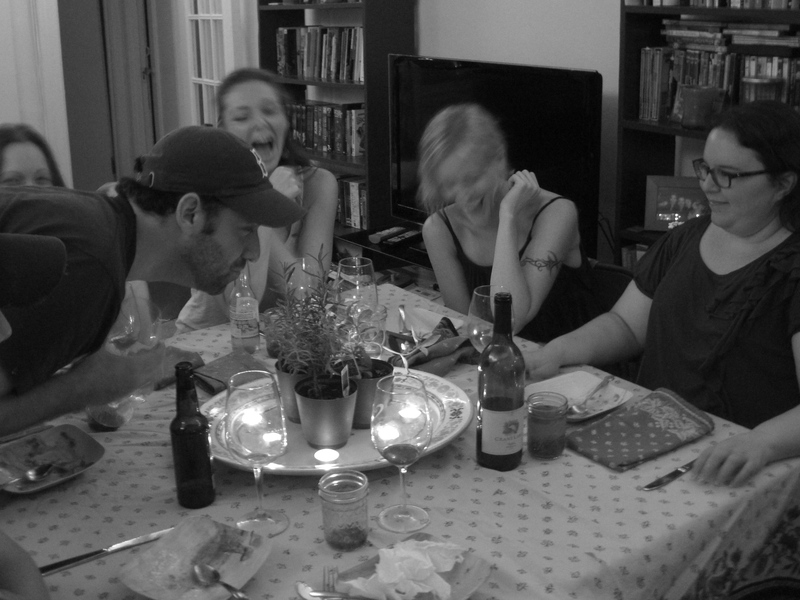 What resulted, though, was still an incredibly fun evening. 6 locals within walking distance joined me on the rainy, humid night. My roommate and I had spruced up the apartment, cleaning and decorating as festively as possible. 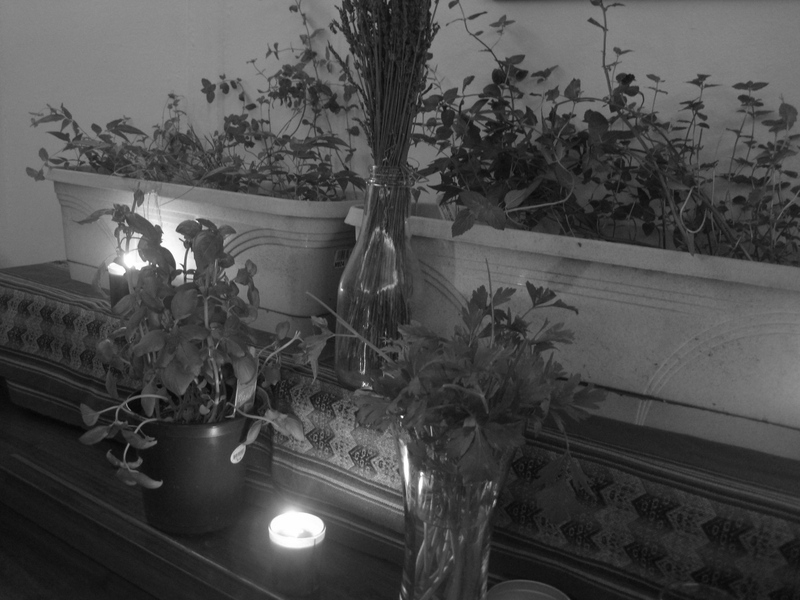 Because of the impending winds we had to move my herbs inside anyway – they made incredibly fitting center-pieces along with all those emergency candles. We threw on some French music, lit the candles, settled in with mint juleps and champagne, and chatted away as the rain poured down. My guests were lovely in their praises of the food and asked me to describe each course in detail – how things went together and the inspiration behind each. 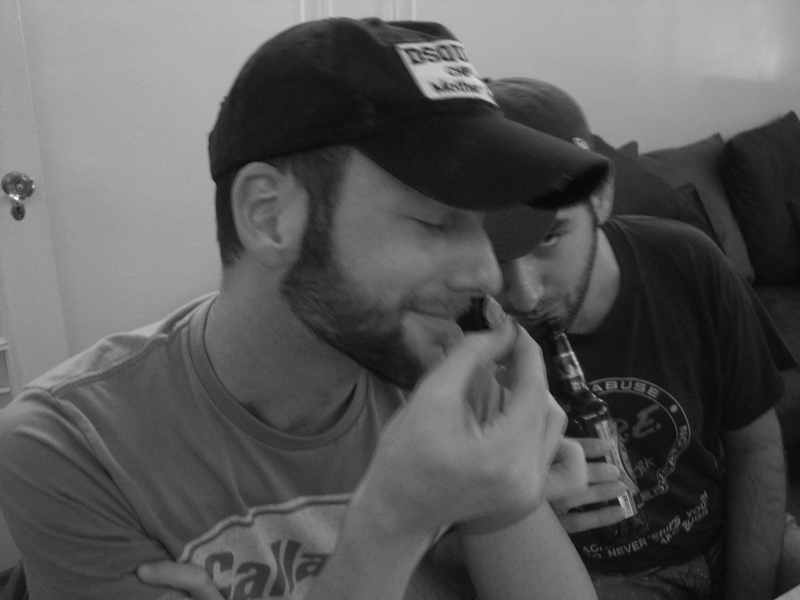 Amongst the chaos that had been descending on the city in preparation for what was expected to be one hell of a storm, most of my friends over the city were huddled in their apartments with liquor and junk food. We, on the other hand, celebrated the apocalypse with empanadas, prosciutto, roast beef, rosemary potatoes and homemade French macarons and ice cream. 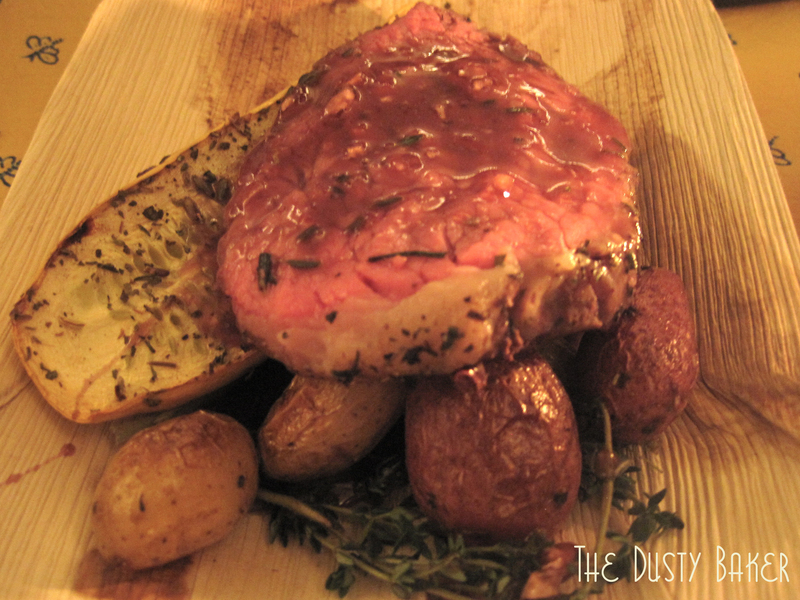 Everything on the menu was homemade, planned to highlight some fabulous flavors. And the entire menu was gluten and cow-dairy free. And the hurricane? Well, we didn’t lose power and the sidewalks up here are strewn with fallen leaves. That’s just about it. Because of the lack of light in the apartment due to the storm the pictures of the party are quiet uneven – most food shots being taken throughout the day as courses were prepped. Recipes for what can be shared are linked to below the images. 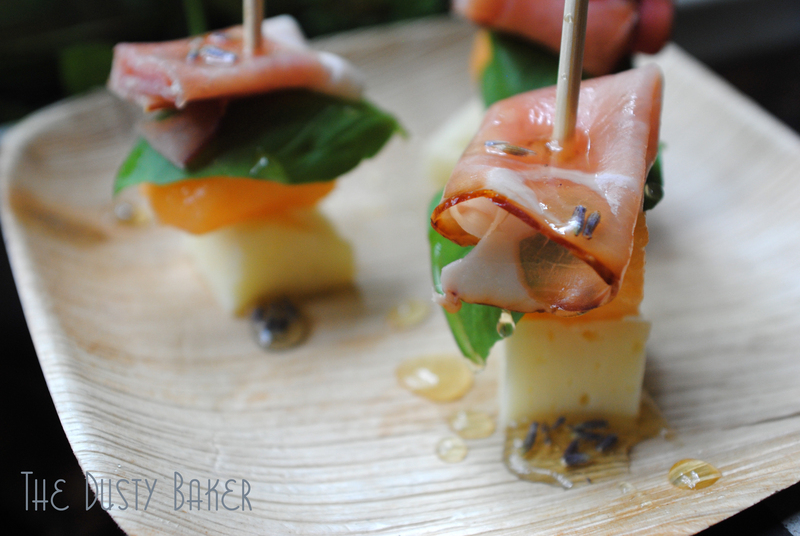 Melon, Basil, Prosciutto, Iberico Cheese drizzled in lavender honey. These were a huge hit. I had been dying for an empanada recipe after indulging in the gluten-full ones at my favorite restaurant recently, so these were an early thought on the menu. Beef was sauteed in onions and garlic, then stewed down with cocoa, honey, cinnamon and hot pepper before golden raisins and olives were mixed in. Finally the chocolate mint was blended and the mixture cooled before being filled into the flaky crust. Click here for the recipe. This was the most out-0f-the-box contribution to the evening. I had FINALLY made macarons to perfection – it only took me five tries, interviewing macaron cookbook author Jill Colonna and taking a class at Dessert Truck Works to figure them out. 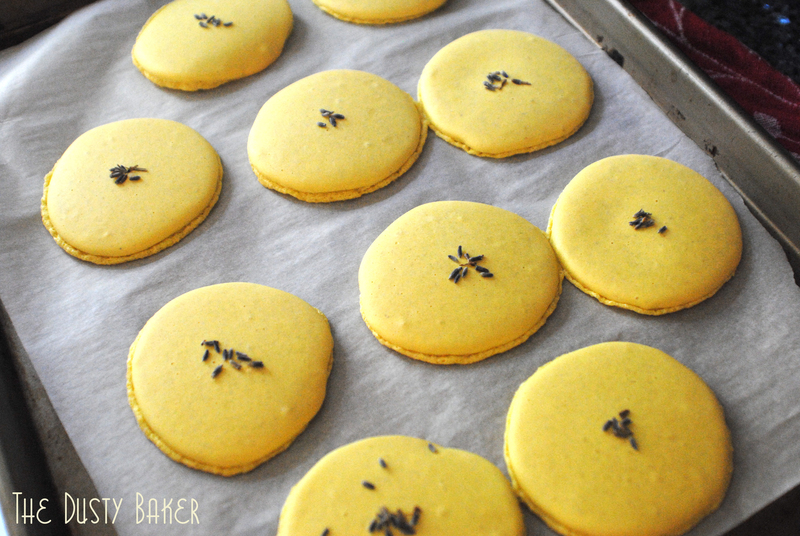 So I wanted to incorporate a savory macaron into the meal as well as using them in dessert. Luckily Jill, in her book Mad About Macarons, had an incredibly easy filling that was basically parsley and basil blended with oil. So I threw a non-descript amount of both in my food processor along with some bergamont-flavored olive oil, pink Himalayan sea salt and fresh lemon juice. The result? One guest actually said that this was her favorite of the three appetizers – the sweetness of the macaron and its gentle crunch crumbled perfectly underneath the herb mixture. It was both salty, sweet and savory. Unfortunately I don’t have a great picture of the final product because we were in hurricane mode lighting-wise by the time they were prepared. But grab Jill’s book if you want the recipe and some amazing others. I don’t often make roast beef. 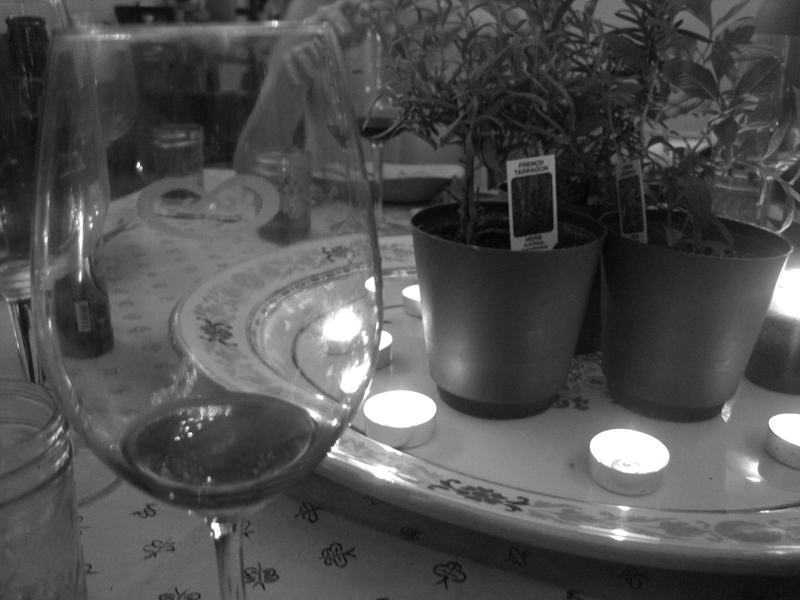 But I love using fresh rosemary on roasts, and as there was an abundance at my dad’s house this seemed only fitting. I brought the meat to room temperature and then crusted it in olive oil, about 5 Tbsp fresh, finely chopped rosemary and 1 Tbsp of chives, as well as a little kosher salt and cracked pepper. Then I placed it in an elevated roasting pan on top of a shallow bath of onions, garlic and lots of fresh rosemary. Cooked to medium rare, it was quite delicious and only took an hour and a half to roast. Herbs highlighted: Um, rosemary and thyme? I didn’t take a picture of the final product, again due to poor lighting. 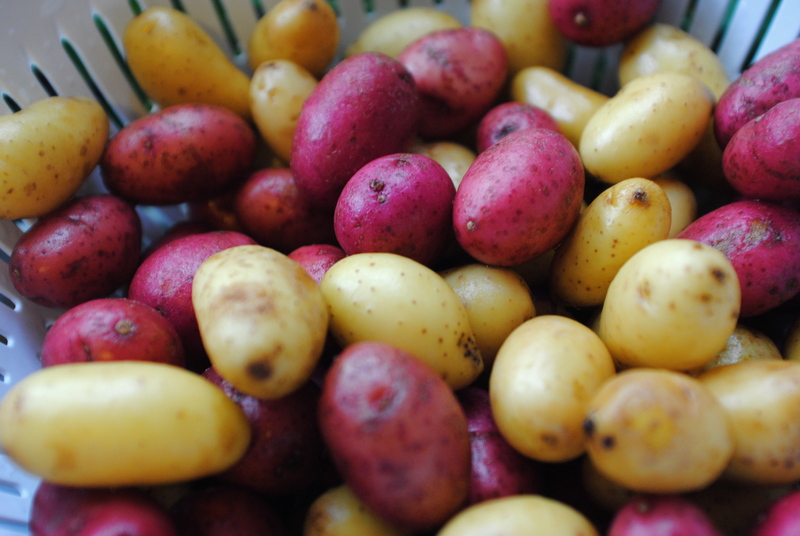 But aren’t these tiny potatoes gorgeous!?! 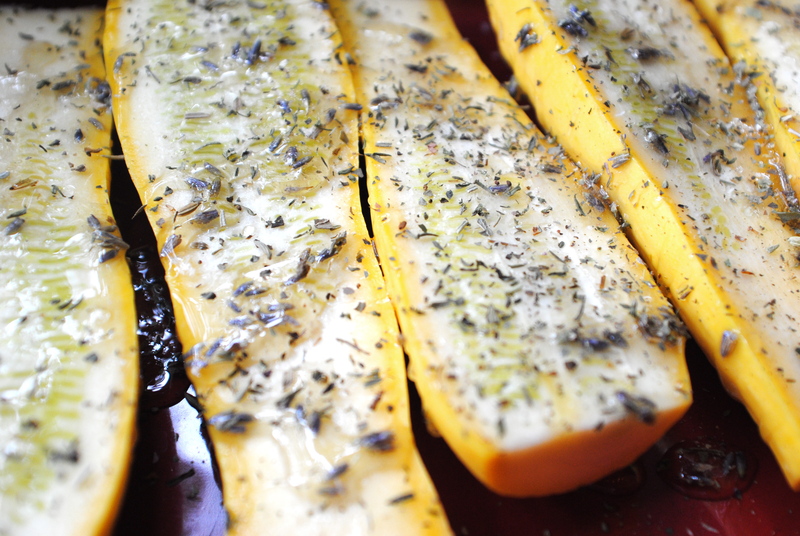 I love how easily they roast – they went into the oven doused in olive oil, kosher salt and fresh rosemary and thyme. Without parboiling they were crispy and soft. Perfection. Well, it wasn’t from my dad’s garden but this squash was local and deliciously sweet. I doused it in a tiny bit of oil, a load of herbes de Provence (which in general I could never live without) and spoonfulls of lavender infused honey. It went in the oven with the roast and potatoes, and in about thirty minutes was toasty and sweet. What better way to end a summery supper party than with homemade ice cream and French Macarons with local summer fruit? 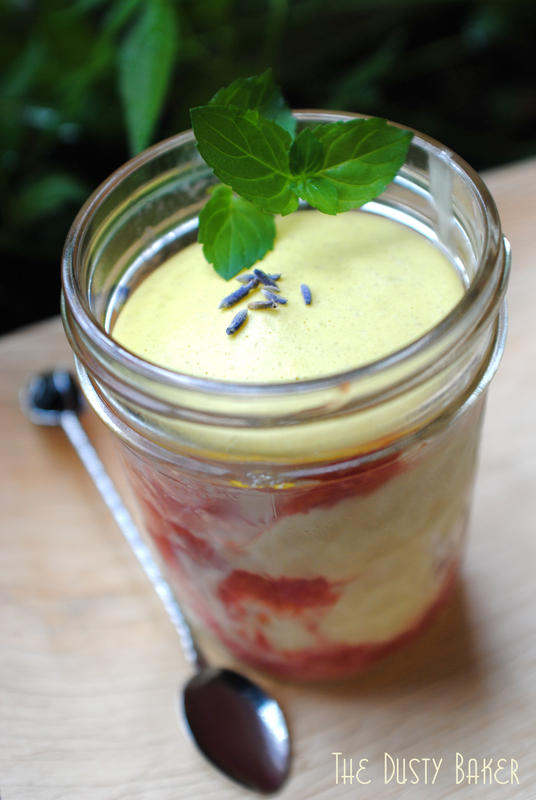 This dessert was gluten and dairy free, sweetened only with honey but oh-so satisfying. Click here for the recipe. 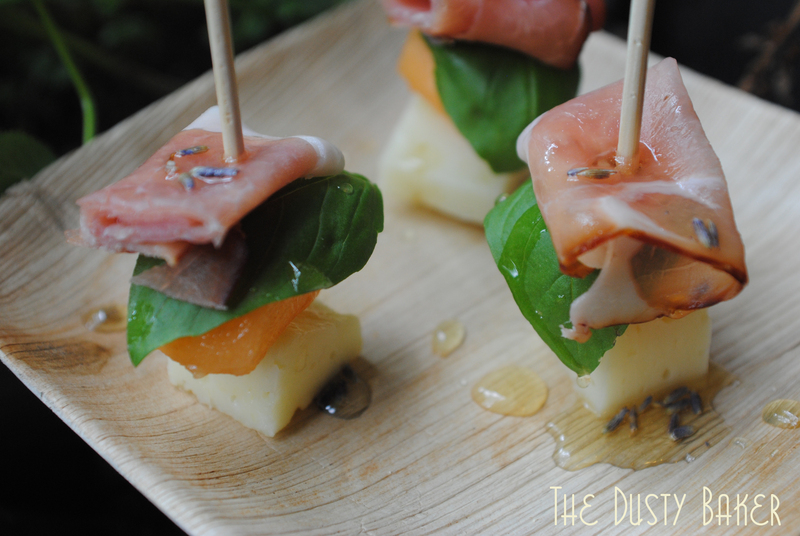 Despite the rain, the threat that power-outages were coming, the lack of public transporation and the fact that we weren’t next to a pool celebrating the end of the summer, I was pretty darned pleased with my FoodBuzz Party. No, it was not what I had planned. But the food was still center-stage, and it was pretty damned good. Possibly the best menu in entirety that I’ve ever made. And I could think of no better way to spend the worst part of the storm than with some great people, some fabulous food and a festive atmosphere. 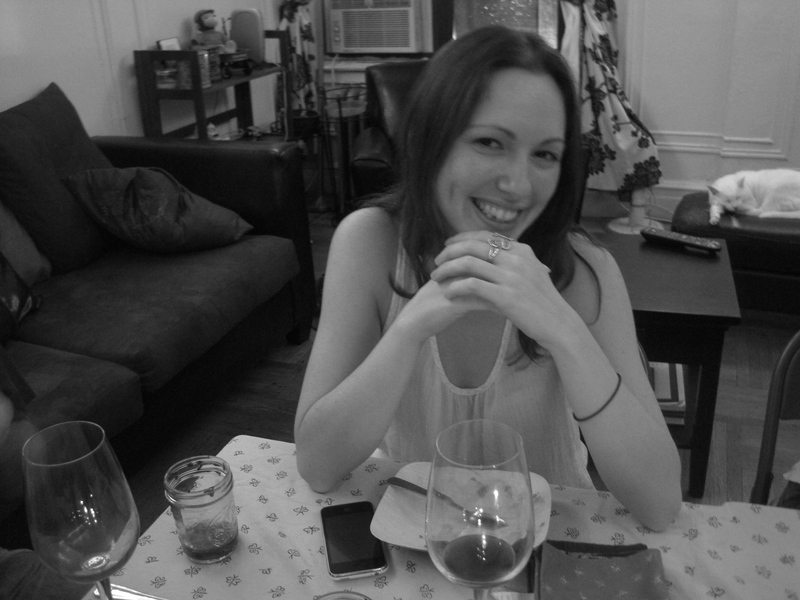 Hopefully I’ll get another shot down the road at hosting a Foodbuzz dinner party, but until then – thanks Foodbuzz. 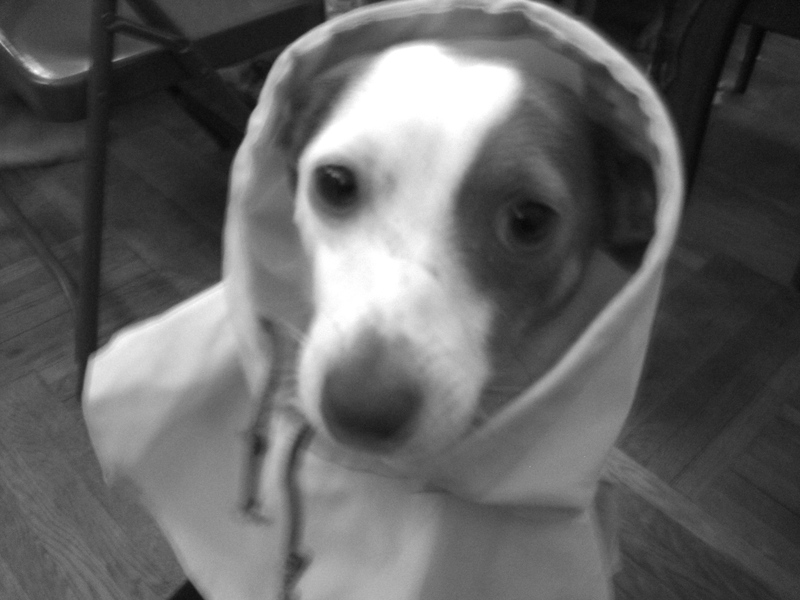 And Irene. And the glorious people in the pictures below for trekking out in the downpour to join me. 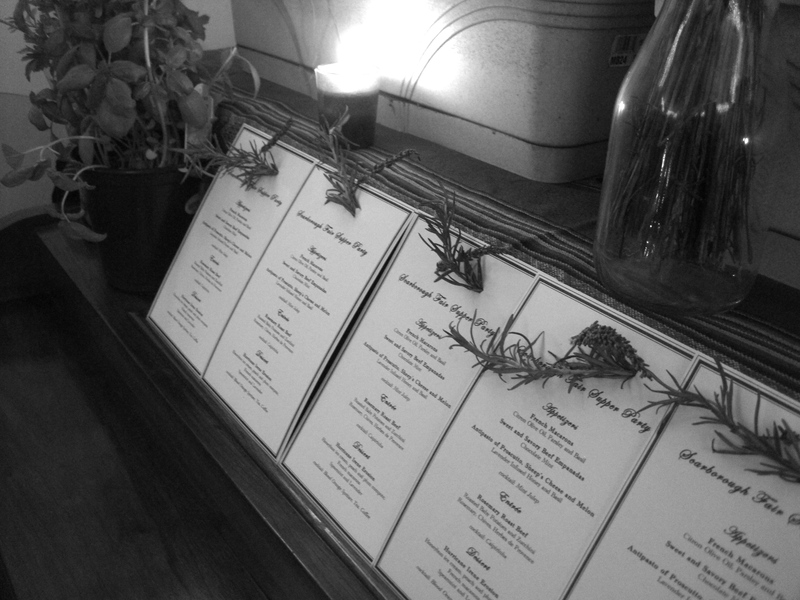 Menus decorating piano as we eat. 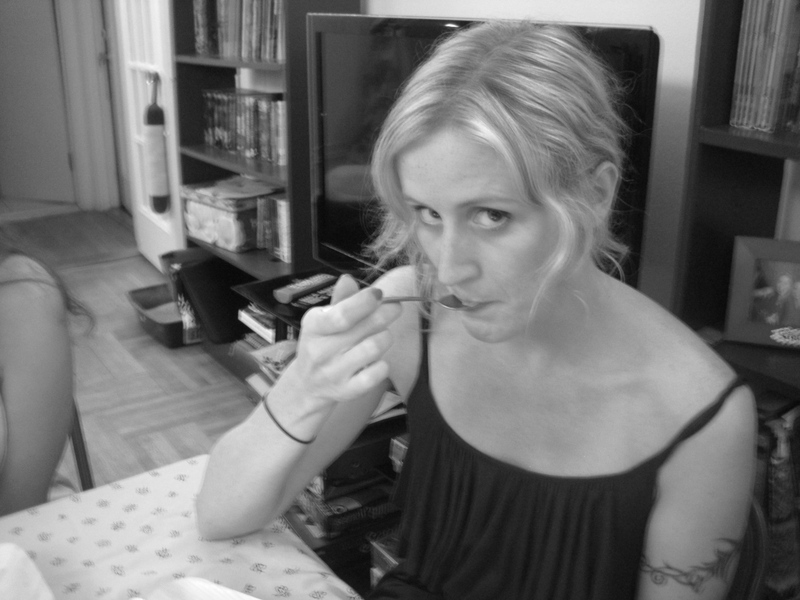 Amy - she also has gluten and dairy problems so this party was perfect for her! 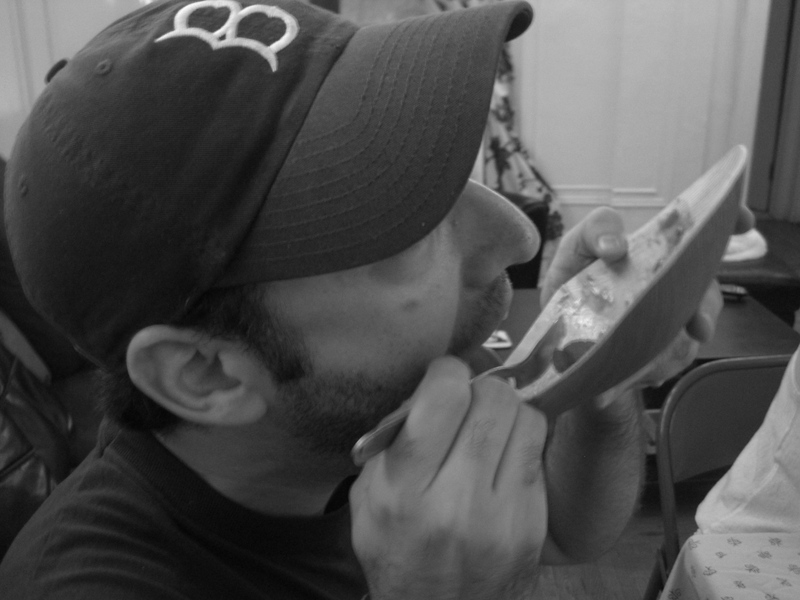 Old-time buddy Jon - evidently he liked his dessert. Meg - gorgeous with her dessert. Gary enjoys spearmint. Just ignore Jon. 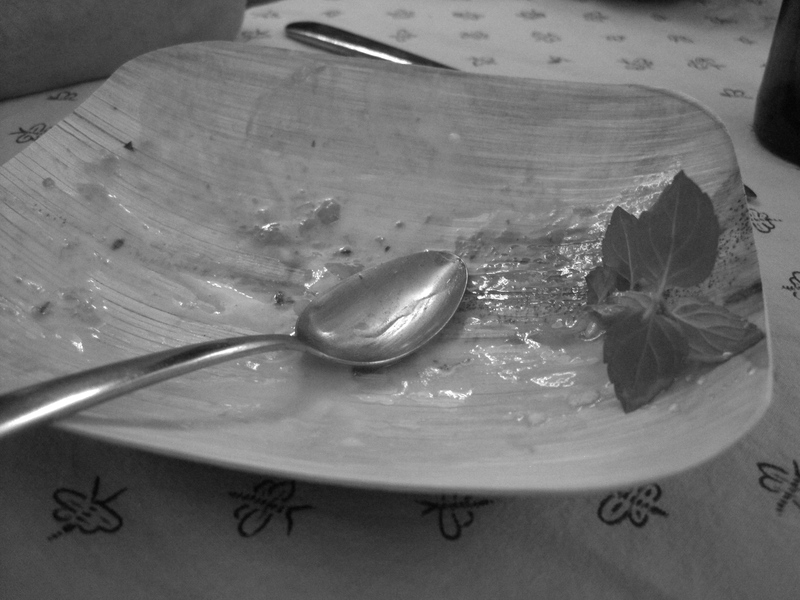 Empty, honey covered plate and chocolate mint.